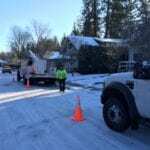 Comcast crews Saturday morning Nov. 28 in the South Hill neighborhood of Spokane. 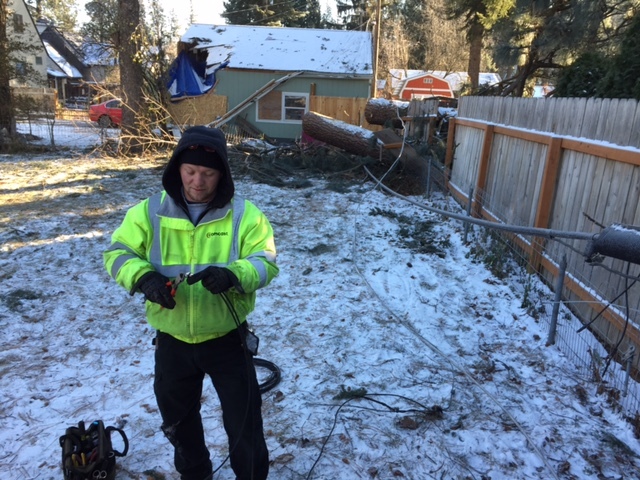 As the power returns to commercial facilities such as ours in Spokane, crews continue repairs. 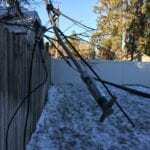 Power crews have to complete their repairs on poles and other parts of the electrical network before Comcast crews can begin repairs on our portion of our network. Please be assured we won’t rest until every customer has their XFINITY services up and running. 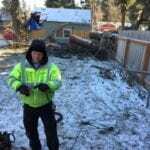 For a focus on what’s going on in the Spokane area as seen on Twitter, click here to see the results for hashtag #Inlandstrong.